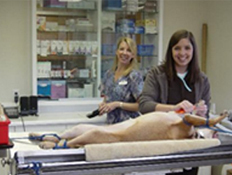 We recommend that each pet has a wellness exam yearly. 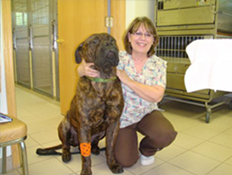 As part of our animal wellness exam we integrate a physical exam with nutritional counseling, immunizations and wellness blood tests. Vaccination titers are also offered as an alternative to the actual vaccine. Vaccination of dogs and cats is based on national recommendations and we advise clients based upon age and risk of exposure. We offer modern hematology and complete in house blood chemistry analysis. We also perform parasitic ova centrifugation for improved accuracy in parasite identification. 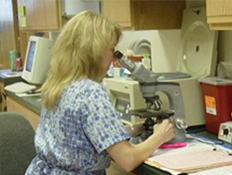 Utilizing our in house laboratory and the professional laboratories that we partner with we obtain vital information in an efficient and timely manner. We offer a variety of surgical services ranging from routine procedures such as spays and neuters to more involved obstetrical, abdominal, gastrointestinal and orthopedic surgeries. Our pre-operative safety screening includes a pre-operative exam and pre-surgical blood testing. We also offer intravenous fluid administration. During surgery the surgical team evaluates the patients’ health with EKG and oxygen level monitors. Radiography is an important tool in diagnosing orthopedic, cardiac and soft tissue conditions. 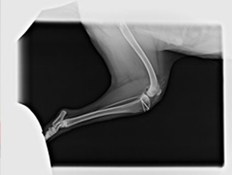 Our new digital radiographic system allows us to offer the latest in veterinary radiology. This gives us the ability to achieve higher quality imaging and faster results while allowing us to share images with specialists almost instantly when needed. Regular dental cleanings are important to your pets’ teeth and overall health. Complete dental cleaning requires anesthesia with the same safety precautions taken as with general surgery. With our state of the art ultrasonic dental scaler and polisher we are able to deeply scour heavy tartar off of the teeth, polish the micro lesions that allow tartar and bacteria to build up and apply a fluoride treatment. This non-invasive technology uses sound waves to painlessly examine internal organs to allow the veterinarians to investigate the cause of illness. At present we are using a portable Aloka ultrasound machine in large animal reproduction and a GE LOGIQ e ultrasound machine in small animal reproduction and basic abdominal exploration. 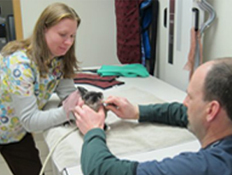 Advanced ultrasound examinations are referred to local specialists. 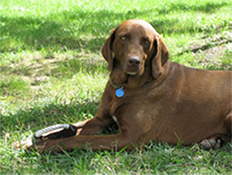 Microchipping is an effective way to provide your pet with permanent identification. We use the Petlink microchip identification which can be read worldwide by a universal reader. Pain management for pets has come a long way and continues to grow as more information is obtained from clinical studies and university research. We offer pre and post-operative pain medications to relieve pain and hasten healing. Your pet may be sent home with post-operative pain medication which allows for pain free recovery at home. 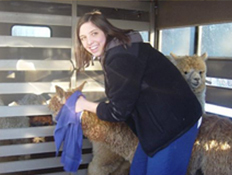 Medical and surgical treatment of all farm animals, with the exception of horses, can be done at the clinic or at the farm depending on the situation and veterinarian availability.